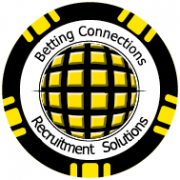 Our client, an established iGaming operator, is setting up offices in Malta and would require an Office Manager / HR Specialist to join the team and help out in a wide range of duties. Being the first point of contact for the Company on the phone or in person (reception). Ensuring the office environment is maintained and organized to a high standard to create an effective working environment. Mailing, shopping, supplies, equipment, bills, errands etc. Working with service suppliers in an organized way to order supplies (office supplies, kitchen supplies, etc.). Recruitment: Manage the entire recruitment process and new hiring processes for various positions which includes: screening and recruiting candidates, engagement with recruitment agencies, phone interviews and frontal interviews, preparing employment contract etc.